Even good parents need to know about and teach their kids some things about child abuse. We are raising kids in a world where, they will most likely come in contact with abuse at some point in their lives. Be it them personally experiencing it or helping a friend a friend through it. My own experience as a survivor of child abuse, has taught me a lot and shaped the way I want to teach my kids about child abuse and preventing it. When I was growing up, my dad was extremely protective of my sister and me. Some would say he was overprotective, and they would probably be right. Now that I’m an adult, I can understand his motivation behind the protection more than I did as a child. My dad wanted to keep us safe and be sure nothing and no one ever hurt us. He was very careful about who he allowed us to spend time with and when we were allowed to spend time with them. We were home-schooled and attended a christian dance studio, we typically weren’t allowed to go on sleep overs or do a lot of “normal” things that other kids enjoy. I didn’t understand it at the time but now that I know how dangerous the world is, I know that he was just doing all that he knew to do in order to keep us safe. He thought that he would always be there to help us make safe choices, but he wasn’t. My dad died in his sleep when I was 14 years old. I just woke up one day and my dad was already gone. He died without explaining to me how I should and should not be treated, without telling me what domestic violence is and what I should do if some one was abusing me or my family. He didn’t think I needed to know because he would have never let me be in a situation that would even come close to the things I was about to face. At 14 years old he was no longer there to protect me, and he never taught me to protect myself. 11 months after my father’s death, before we even had time to fully process our grief, my mom remarried. All the signs were there that this was not a healthy relationship, but I did not know how to read them. I didn’t know it was wrong for a man to punch me. I didn’t know that just because he was laughing didn’t mean it was an okay joke. I didn’t know that it wasn’t okay for him to blame me for everything that ever went wrong. I didn’t know there was a term (psychological abuse) for that and all the ridicule and screaming I endured. We never really talked about abuse and all the different forms it can take, so I didn’t know what it looked like when it happened to me. I didn’t know how to make it stop, or even, that it needed to. I thought I was the problem. I assumed I just needed to toughen up and be stronger. I had no idea that I was being abused. What I endured for several years at the hand of my step father are the exact things that my dad expected to be able to protect me from. Maybe one day he was planning on telling me about the world, instead of just hiding me from it; but he never got that chance. Through everything I endured I never once for help, because I never knew I needed it. I’m now safe from all these things and have found healing and peace. I have a beautiful family of my own, and I’ve moved on to live a happy life. But I knew I needed to share this story. Parents, please teach your children about abuse. 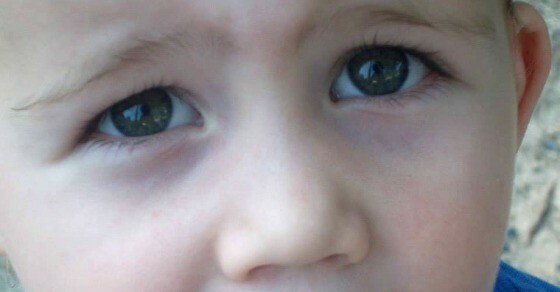 What it looks like, how sneaky abusers can be and what kids should do if they are being abused. Don’t just assume you can protect them. Don’t just warn them of the situations that you think they might face and keep them ignorant of others. Equip them to protect themselves. Prepare them for it, help them know what to do, who to call and how to stop it. Let them know that they have the power to say who can and cannot touch their bodies, let them know that they can say speak up, even if it’s about a person they trust or some one in authority. Don’t expect them to just know what to do. Don’t assume that you can protect them forever, because you can’t. A warning might have frightened me a little as a child, but it also could have saved me years of pain and heartache, both during and after the abuse. I don’t pretend to know how this conversation should be had in your family or at what age your child will be ready for what information. I’m sure it will look different for every child and every family. I just wish I had known. I wish my dad would have done more than just protect me; I wish he would have taught me to protect myself. Please don’t think I’m blaming my dad for everything that went wrong in my life. I don’t blame him in the least. He was and awesome dad and did his best, but like any parent, his best included some mistakes. It took me a long time to write this post because I wanted to be sure I wrote it in such a way that I would not disrespect either of my parents. I think my dad would be happy if our story could stop even one child from being abused and he would love for me to share it, as I have done so today; mistakes and all. Don’t read too far in to this. The point is not what either of my parents did, didn’t do or should have done. The point is what a loving parent can do now to teach their children to be able to protect themselves. 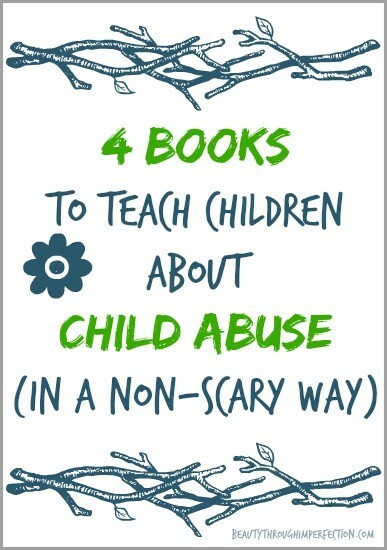 To help start the conversation about abuse with your kids, I highly recommend these books. I’ve categorized them by age. I love that they communicate important principles (even to toddlers) without being scary or inappropriate for the little ones! I’m sure you can tell that this is a topic I am very passionate about. 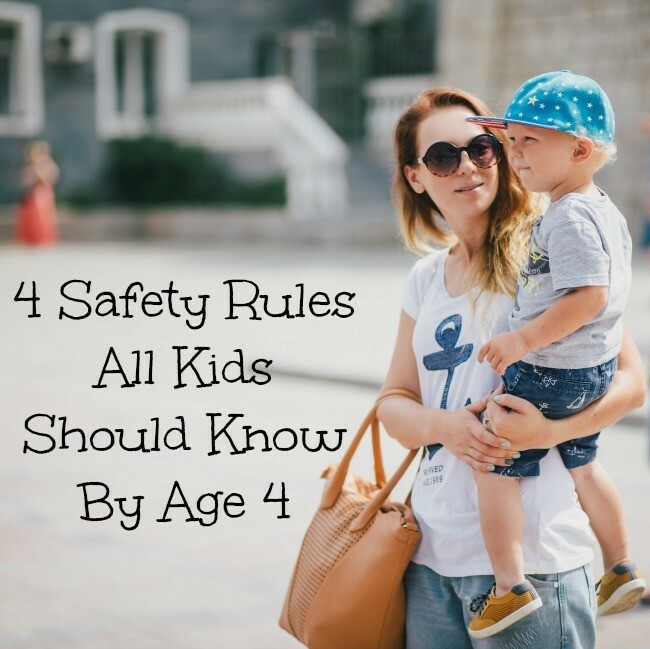 You can read more about educating kids about how to protect themselves, while also doing everything in our power to keep them safe in this post about ‘stranger danger’. Paula, thank you for sharing your story. It brought me to tears and it was shared in a very respectful way I think. My husband and I were so unprotected growing up that we tend to be overprotective of our kids. We pretty much do all the things your dad did, but we do prepare them we don’t just try to protect them ourselves because we know we can’t always protect them. I do know many parents are doing this sort of disservice to their children though -unknowingly too – and I hope your post will help them to have those hard talks and not wait till it’s too late. Thank you for this! Explaining the why always seems to be important but I often forget. My abuse happened from a family member, and it is hard to know how to protect yourself in the family setting. What kinds of things do you wish your dad taught you to protect you? When you say that, I think of self defense classes, but I am sure it goes deeper. What do you teach your kids? Amen! That’s just God! So amazing! I’m just crying, thank you for sharing, sweet girl. So glad you have found healing and can use your story to help others. You are completely right when you say you didn’t ask for help because you didn’t know you needed it. 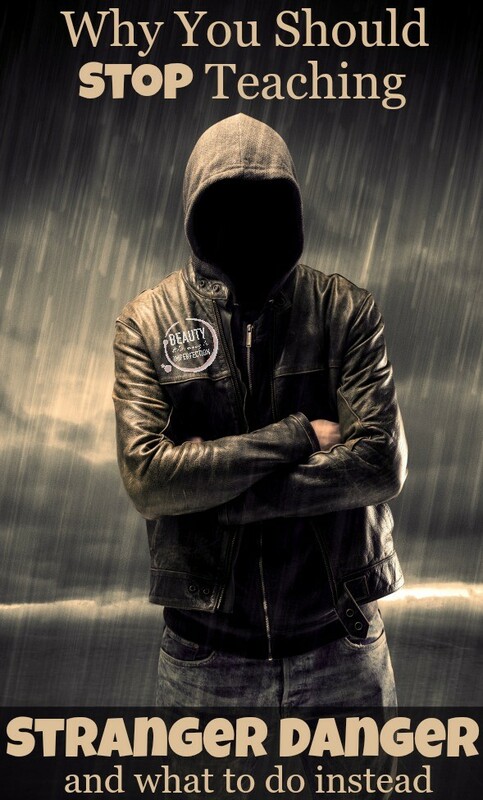 Many parents warn their children about the bad guys and it’s rather vague, we expect a bad guy to look bad and we never expect it to be someone we know. Parents also need to teach their young children about sexual abuse. Because 90% of the time, the person abusing the child is someone the child knows and they will listen to them. We want to think we can always protect and that isn’t always the case. thank you Kendra! yes, agreed sexual abuse definitely needs to be talked about!!! I feel that you make a really good point there about ‘bad’ people and the likelihood that an abuser will be someone the child likes and trusts – not just because of grooming but because these are the people who have access to our children. I have tried to make clear to my boys that ‘good’ people can have traits that we are not ourselves comfortable with …. For instance a kind, friendly warm friend who swears a lot. We do not choose to use that language in our home but that doesn’t make this person any less warm and friendly and kind. I have led that conversation on to talk about people who might be a bit more huggy that we are comfortable with, or who overstep our personal boundaries with tickling, or teasing/name-calling in fun, or how competitive they are in a game. One of my husband’s friends uses him intellect to belittle others and I am not at all comfortable with that, whether directed at me or merely witnessed. I then hope to instill in my boys that they should speak up if they are not comfortable with behaviour of any kind, and if it continues to tell a trusted adult, several trusted adults, and keep on telling until something is done to change that behaviour or to prevent them from enduring that behaviour. Plus the old ‘nothing unpleasant should ever be a secret, secrets should only be good things – surprises – things that others can know but you are choosing to keep secret for happiness, not through fear’ or something like that. I have no idea whether my approach is right, or understood, or will protect the boys in the case of danger … but I hope it would translate to many situations – for example even to a loved, trusted friend wanting to drive when they’ve had a drink, or having a tendency to drive too fast without any other impediment. Just that it is OK to feel uncomfortable about some aspect of an otherwise liked person, and that you have a right for that feeling to be respected. Great reminder. I’m so sorry not only for your loss but for what came out of it. How is your relationship with your mother? Do you blame her? Based on your writings, I would guess you have been able to forgive her given your deep faith, but can one really forget? Regarding your mom, i don’t know her or her situation, but is it possible she hasn’t left the relationship because she’s also being abused? Maybe he manipulated her into remarrying so quickly & has continued to abuse her as well? I was going to ask the same questions Julia did actually, regarding your relationship with your mom. I found that while I was reading this post on child abuse I actually got to thinking about how parent’s choices in general affect their children, either negatively or positively. Particularly single parents when picking a new spouse. I can’t imagine how your mom was feeling after losing her husband, but 11 months to remarriage is rather fast and I think it is important to let every one have time to grieve and time to get to really know the new person once you start dating. I was a single mother and although my children were very young when I met and married my husband I was always considering them when I made any decisions. I just feel like too many people don’t consider their children when they are start dating as single parents, but they really should take their time and watch the person’s actions and interactions with their children before making anything serious out of it. I’m sorry for what you went through as a result of all that occurred Paula. Anyway, that was something else, a whole other message people could take away from this post I thought. those are some great thoughts about parents’ decisions! I completely agree! I’ve never been a single parent, but I am sure that is a challenge on so many levels! you should write about it sometime Del if you haven’t already!!! I’m sure your story could encourage a lot of women! I may have to do that Paula! I’d definitely love to write on the topic sometime in the near future. I thought you were very respectful to your parents, and your overarching message of teaching kids to one day protect themselves really shines through. It’s such an important subject – I’m glad you’re sharing. Best! So sorry to hear your story, Paula, and it breaks my heart to think of how it must have hurt your dad to know he couldn’t protect you. But, in a way, maybe you are doing more to protect others now. Thank you for speaking out about this. What a good reminder. This is especially apropos for us right now as we begin the journey of fostering children. Thank you for sharing. I found your blog through Mama Mondays. Check out my blog if you have a chance! Wow! I have never thought about preparing my boys for something like that. I have absolutely made the mistake of feeling that it would never happen because I would be there to protect them. Thank you for this, Paula. It really brought this mistake to my attention, and I will do something to change that. What a poignant story, Paula. I am so sorry for what you’ve suffered. I am gearing up to teach my class about child abuse and domestic violence, so your post gives me the opportunity to remind folks that children are much more likely to be abused by their parents than by other adults. And mothers are much more likely to abuse their children (physically and emotionally) than fathers are. (Sorry – the exact stats are at work and I am not yet.) So please do be aware that your nieces and nephews, children at your church, or neighbor children may be enduring these very things at home but because we think we “know” what an abuser looks like, we might not think to reach out. While I am at it, men are more likely to suffer domestic violence from their wives than the other way around (again, physical and emotional), but we never think of it that way because our society loves to tout the “men are bad” theme. It is often a “double whammy” when men and children are abused by the woman in their lives because society tends to believe that all women are noble and all men are evil, so victims are less likely to approach anyone for help. Great post and important for all parents to hear this. I will have to talk to our kids about this. I teach them about good touch/bad touch, but we have never talked about hitting, ect… It didn’t really dawn on me, but I see now how important it is. PS- I think psychological abuse is one of the worst kinds. I will have to talk to the boys (& allie one day) about this too. The title of this article caught my eye on Twitter. I am so sorry to hear what you’ve been through. It is heartbreaking. One thing I do in my various and sundry ministries is to teach teachers and children’s staff how to run a safe place for children, etc.. I had the opportunity this winter to have my own children sit in on an abuse prevention, etc, class. I think it was amazing what they were taught. I think teaching both sides-potential victims and those who work with children-is vital. Thank you for being vulnerable and sharing your story. Maybe it will help someone else. Wow, Paula. This is heartbreaking. I’ve been around people that I mentally identify as bullies, but I’ve never really thought about it as psychological abuse. Thank you for opening my eyes. Definitely sharing this. And thanks for sharing something so personal and painful. I pray that God uses it to bless and protect others. Having been raised in a house were emotional abuse was the norm, I’m very protective of my children. I talk to them about a lot of things but I’ve not talked too the much about abuse. They are still quite young (almost 5 and almost 3) but I do think I need to think about when I want to address this issue. It took me truly trusting in God and His grace before I’ve felt OK with my past. Great post. Thanks so much for sharing. Thank you so much for sharing! I am so glad that you found healing. I am a victim of a sexually abusive father, an alcholic and drug addict mother, and a psychologically abusive step-mother. I am now 32 years old, I have not had any contact with these people in half a lifetime and I am still struggling to find healing. It’s hard. I am so glad that you shared this story, Paula. It is so respectfully written. I am sure that your dad had no idea things would play out the way they did. No matter how hard we try, we make mistakes as parents. I am so amazed that you were preserved through this and have such a shining testimony. I am sure that you are so thankful for that. Thanks so much for sharing this over at WholeHearted Home. Thank you for having the courage to share your story. I homeschool my kids and shelter them a fair bit but when our oldest boys were young, we became foster parents so I had no choice but to tell them about the different types of abuses that kids can suffer because the kids coming into our home had experienced a lot. We no longer foster, but as our five youngest kids are all adopted and have experiences coming to our home, we have had to have many open discussions about abuse. I think another really important reason to share with kids about this is in case in the future their friends open up to them and share something…give your child the ability to recognize what abuse is and also the knowledge about what to do and who to tell if they know about it. You sharing your story will help others. I’m sure it was difficult to decide to share but people will be helped by it so I applaud your courage. Thanks for sharing it, I really hope it will help many people understand the dangers of abuse, of any kind. I would’ve re blogged the post on my blog as this issue is very close to my heart, I try to raise awareness too, as much as I can. But since you haven’t got a Blogger button I will spread the word on G+, Twitter and FB. Oh wow Paula. Thanks for sharing this story and I think you did it very tastefully (well as tastefully as a child abuse post could go). Thank you so much for sharing this post. Presently I am preparing 47 grade six children for the Sacrament of Confirmation. Tomorrow I am teaching the 7 Deadly Sins & the 7 Heavenly Virtues. Teaching at this level is a challenge … but it is clearer to me when I see and hear the stories for some of those kids and their Mothers – the psychological abuse they heap on one another via ‘Instagram’ – as they think no one knows and no one can see. Your post made me think outside my ‘box’ and helped me bring it all together within … my post might seem scattered, but I am thinking it all through at the moment and I just wanted to say – thank you. I am hoping to stop some abuse headed up by the kids themselves. Paula, it takes a lot of courage and trust to open up and share an abusive past with the world. You told your story well, with respect, and with sensitivity. Thank you for sharing this part of you with us. So happy you found the healing and peace you needed. Your statement “I didn’t know…” is truly a powerful one. I’m teaching my girls that ‘no’, ‘stop’ and ‘I don’t want that’ are magic phrases. They must always be respected. If we say it to them, they have to listen and respect it, and of course, vice versa. I’m hoping this will help them to make and reinforce their own boundaries, possibly in the face of abuse, later in life. I want them to know that their wishes and feelings are as important as anyone else’s. Such a powerful, but well put together message! Thank you for the links to books as well. As a new Mum these things do dwell in your mind, that you will one day have to teach your child about them. What a great post! Thanks for sharing. I appreciate your courage and honesty. Thank you so much for your vulnerability. You are such an overcomer! I didn’t want to just scroll past without thanking you for the well-written post. My 4yo isn’t scared of anything and I want to teach her that not everyone is good without terrifying her, so I’ll go in search of the books you’ve recommended. Hey Buddy!, I found this information for you: "Child Abuse Prevention". Here is the website link: https://www.beautythroughimperfection.com/child-abuse/. Thank you.